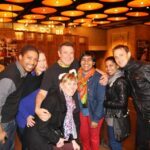 We all recently went to rock out at the Johnny Clegg concert and had a fantastic time! Here’s a photo of some of the team and Johnny! http://swiftmomentum.com/wp-content/uploads/2013/09/Johnny-Clegg-and-the-team.jpg 639 960 David Sarembock http://swiftmomentum.com/wp-content/uploads/2017/08/SwiftLogo-2017-4-2362x640-cropped-300x72.png David Sarembock2013-09-19 11:17:442015-12-11 18:44:11The team at the Johnny Clegg concert! 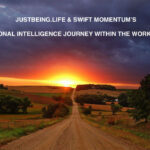 So we’ve been busy with our daily lives trying to explore every day and new happenings. While experiencing this journey it wouldn’t hurt to simply think about the benefits of eco-friendly life. I read a powerful and interesting article by Steve Tappin who is the BBC CEO Guru & Founder. I thought with whats going on here now in South Africa everyone would enjoy this article. I look forward to your comments? We would like to wish one of our clients Michael Claxton from Solid Systems the best of luck for the Put Foot Rally. They are kitted up with fully equipped Toyota Hilux’s and are in for an experience of a life time! Good luck! Be safe and most of all enjoy the journey! Thanks to Tim Cook’s remarks about the wrist on Tuesday, anticipation for a so-called iWatch reached a fever pitch this week. http://swiftmomentum.com/wp-content/uploads/2013/06/apple-iglasses.jpg 854 1280 David Sarembock http://swiftmomentum.com/wp-content/uploads/2017/08/SwiftLogo-2017-4-2362x640-cropped-300x72.png David Sarembock2013-06-01 17:39:352015-12-11 18:41:58What would Apple’s take on Google Glass look like?